Thanks for the drink mate! Did you know that ‘water for the environment’ delivery commenced late July from Burrendong Dam and is flowing down the Macquarie River and into the Macquarie Marshes? The environmental benefits are becoming visible with waterbirds arriving, frogs calling and wetland plants starting to grow. The event is targeting wetland areas of the Macquarie Marshes to maintain their health and resilience. Water delivery will support habitat and food sources for frogs, turtles, and waterbirds. The flow will also benefit native fish such as Murray cod and freshwater catfish and may provide connection to the Barwon River. Approximately 70,500 megalitres of the 165,000 allocated for the event has been delivered so far. Water has moved slower than anticipated through the Marshes which is likely the result of the dry conditions. The event is now a stable low flow to continue to spread the inundation in the Marshes while keeping Murray cod nesting sites inundated along the mid-Macquarie River. 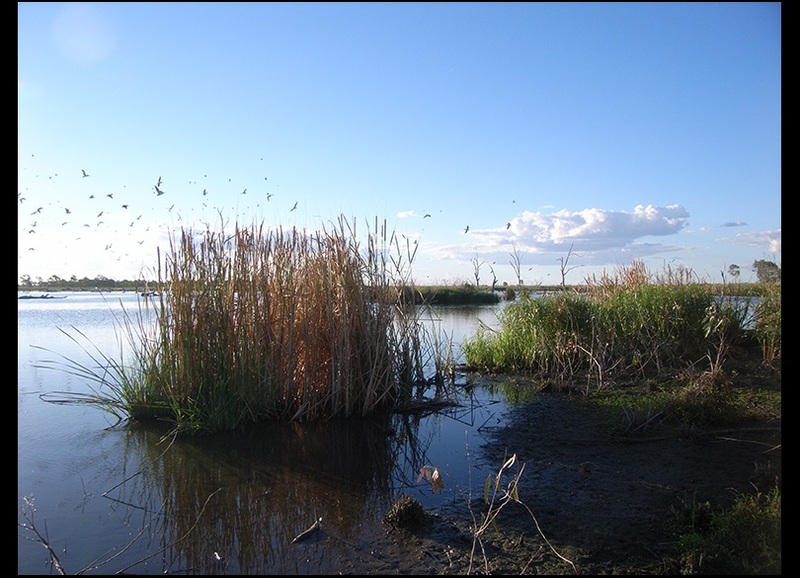 NSW Office of Environment and Heritage (OEH) staff are regularly monitoring flow movement and the spread of water into the Marshes. Waterbirds have begun to arrive at various locations across the Marshes including brolgas, terns, egret ducks and ibis. Water plants are beginning to emerge including water primrose, common spike-rush and swamp buttercup. Surveys in late September detected five frog species.